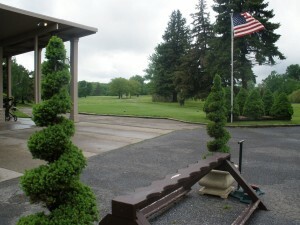 Book your EVENT or Tee Time(s) TODAY! 2,850 Yards for 18 Holes! Juniors 12 and Under $10.00 w/ Adult! MONDAYS are Player Appreciation Days! ALL players pay ONLY $25.00 for 18 w/cart included until 2 pm. and $3.00 Domestic Draft Beer until 6 pm. Excludes Holidays, Leagues or Special Events! In addition to our challenging course, we offer a “Tavern” and dining area, which is perfect for outings and a meal before or after your round. We also offer Sunday alcohol sales after 7 am. Our clubhouse offers free wireless internet access. Also, we have a fully stocked pro shop to meet all your equipment needs. Book a tee time online or contact the Pro Shop at (734) 453-1900 or (800) 714-6700.